I don't much enjoy stories of amnesia, and telling a story of amnesia in the eighth volume of a nine book series is a risky storytelling choice. I'd love to say that it works here, but, at least for me, it doesn't. 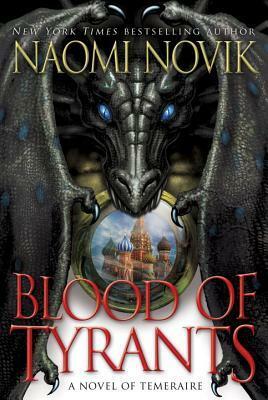 We spent a not insignificant amount of Blood of Tyrants, the penultimate Temeraire novel, with Will Laurence having very little memory of the events of the previous seven novels. He doesn't remember Temeraire or anything that has occurred since he became a Captain in the Aerial Corps. It's frustrating and stagnates the narrative. Temeraire has lost its steam. As often happens when reading a new John Scalzi novel, I didn't want to put this down. 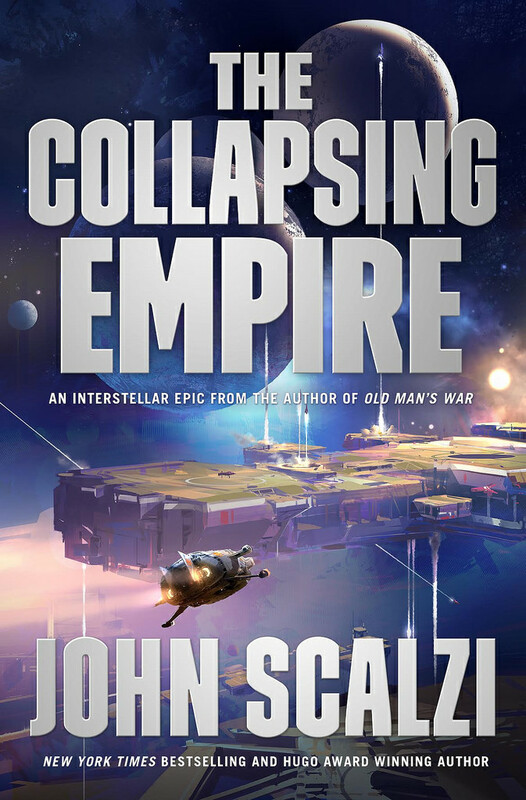 Filled with wit, warmth, humor, fantastic characters, and Scalzi's trademark snappy dialogue, The Collapsing Empire is a treat and a delight to read. Though I don't normally note language, there is significantly more cursing than Scalzi's readers are accustomed to. It was noticeable, initially distracting where it might not have been with another author, but ultimately it just flowed into the vernacular of the novel. I loved the setting of the Interdependency and am excited to see what the collapse of the Flow means to that universe. The Collapsing Empire is a fantastic first novel in a new series from John Scalzi. 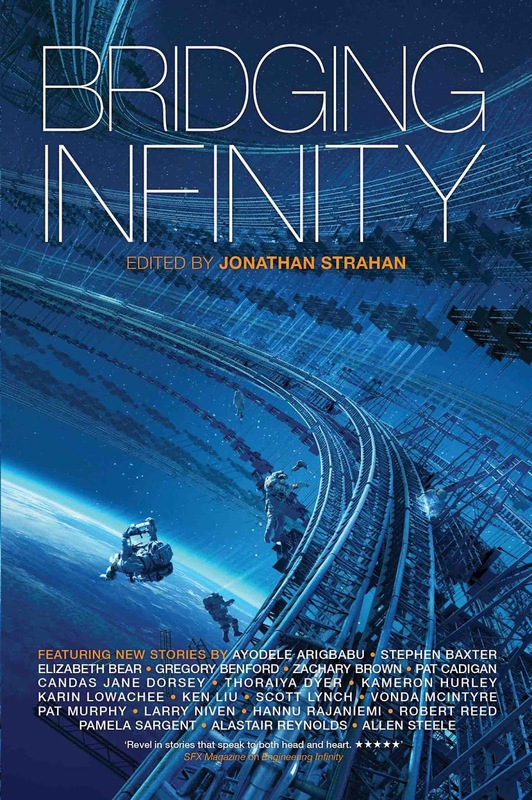 With Bridging Infinity, Jonathan Strahan delivers another solid anthology with another vision of possible futures. This time he wonders if "we still believe problems are solvable" and if we do, he asks his cohort of writers to consider what that might look like across the years, decades, centuries, and millennia. While most of the anthology is between good to very good (with a couple of disappointments), the two standouts are the closing two stories: "Induction", by Thoraiya Dyer and "Seven Birthdays", by Ken Liu.